The shortened domain extension .nz became available for registration as of 1pm on 30 September 2014. This means individuals and companies, from both New Zealand and around the world, can now register theirname.nz. New Zealand follows in the footsteps of the UK in dropping the .co and it is sure to be the most popular domestic domain name extension in time – rather than a question of if, it is inevitably a question of when this extension will take over .co.nz as the most prevalent and sought after domain extension. If you have an existing .__.nz domain (e.g. .co.nz, .org.nz, .net.nz etc.) registered before 9am 30 May 2012 you are granted certain rights to obtain the .nz equivalent. However, the effectiveness of these rights depend on whether there are other .__.nz registrations for your domain name (registered before 9am 30 May 2012) and what the intentions are of the other registrants with regard to the new .nz extension. If you and another registrant, with the same domain but different extension (e.g. yourname.co.nz and yourname.net.nz), both want the .nz domain name, the new domain will enter into the conflicted name process. The DNC does not go into specifics as to what this process involves. If there is no clear outcome from the conflicted name process the DNC will offer a facilitation process to aid in resolving who should acquire the new domain. Alternatively, if there are no other registrants of your domain name you can register or reserve (free for two years) the new shortened version of your domain name. The opening up of this top level domain name does not come without the usual squatting issues. Again, New Zealand’s domain name commission (DNC) have disregarded trade mark rights as a barrier to registration. This is in contrast to Australia, where a legal claim to a name (such as a registered trade mark) is required before you can register a domain. As is made clear from the above registrations, the protection afforded by the DNC’s protocols may not extend to stop anyone registering domains which include words which are confusingly similar to existing registered trade marks. Be aware that the prior registered rights granted to the holders of a .__.nz domain name are only given to those who have been registrants since before 9am 30 May 2012. This means that if you registered after this date, and the .nz extension is important to you, you will need to register the new domain as soon as possible before it gets snapped up by another interested party as names without prior rights are governed by the first come, first served policy. But remember that you won’t have any claim to the new domain extension if someone else has registered it prior to 9am 30 May 2012. If you would like help registering your domain, or if you are having trouble obtaining a domain you feel you have existing rights in, please feel free to get in touch. On 30 August 2013 China’s Standing Committee of the National People’s Congress revised China’s trade mark law passing the “Decision on Revising the Trademark Law of the People’s Republic of China”. The changes will significantly align prosecution procedures with international norms, and will improve trade mark owners’ ability to enforce their intellectual property rights against infringers. agents may not accept instructions if the agent knows the client is applying to register a trade mark in bad faith. in an attempt to curb oppositions made in bad faith, only parties with prior rights will be able to lodge oppositions. a party alleged to have infringed a trade mark registration will be able to defend an infringement action if the trade mark the subject of the registration has not been used in the past three years. The changes will simplify China’s complex prosecution procedures, and address international concerns relating to bad faith applications and a lack of clear remedies for infringement. The changes to China’s trade marks law will take effect from 01 May 2014. Since the New Zealand-China Free Trade Agreement signed in 2008 China has become New Zealand’s fastest growing trading partner. 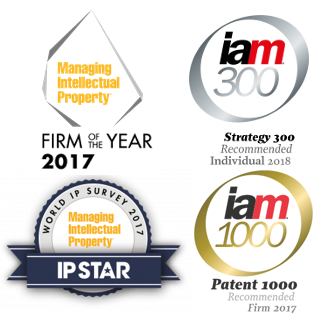 Please visit www.ellisterry.com for further information on all aspects of Intellectual Property, or email Emily Ellis at emily.ellis@ellisterry.com if you would like to discuss any issues relating to protecting or enforcing your brand in China.